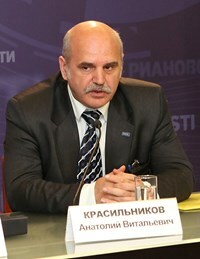 Marking the fifth anniversary of the ITER Project Center, a press conference was organized within the premises of the Russian press agency RIA Novosti. On 19 June, it will be five years since the Russian Domestic Agency officially opened its offices in the Kurchatov Institute in Moscow. 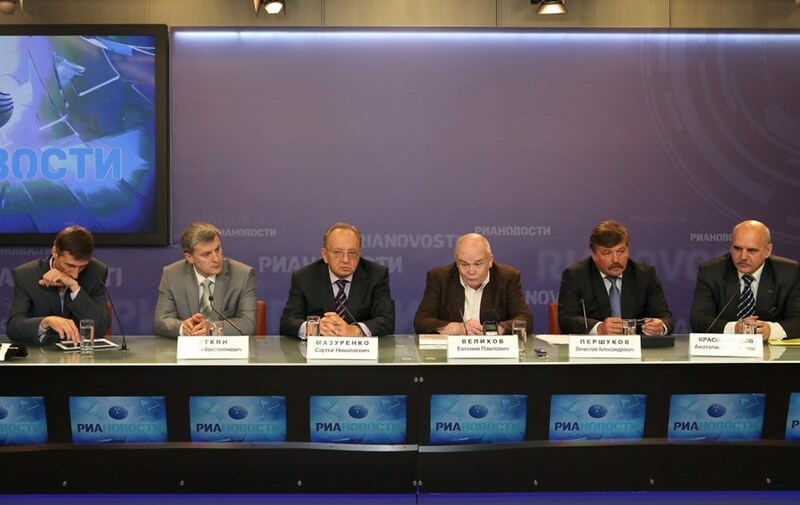 Marking this fifth anniversary, a press conference* was organized within the premises of the Russian press agency RIA Novosti. The more than 25 participants from television, radio and newspapers demonstrates the level of interest in Russia in the ITER project. The volume of Russia's annual contributions to ITER has reached EUR 150 million. This year we signed 78 contracts for the execution of works and supply of equipment. Russia's participation in this project is giving the opportunity to the industries in our country to develop specialized technology and new manufacturing processes. In the city of Glazov, some 1,000 km east of Moscow, a whole new plant was built for the production of ITER's superconductors. A cabling facility has been built in Podolsk and a jacketing factory in Protvino. At the Efremov Institute in St. Petersburg a High Heat Flux Facility was created, as well as the manufacturing lines for the first wall, divertor and poloidal field coil 1. The cryogenic engineering company JSC Cryogenmash, located in Balashikha near Moscow, is in charge of the design and construction of ITER's port plug test facility stands. The Institute of Applied Physics in Nizhniy Novgorod has manufactured the prototype of the ITER gyrotron, which it successfully tested at the Kurchatov Institute at the required 1MW of power during 1000 seconds. The ITER Project, besides its role as the ultimate experiment on the way to a new and benign energy source, to us also means new jobs and training, and the transfer of skills to young professionals. And we all know: education is the key!!! Down the road, some of our experts will work on the installation itself. Until then, but we will continue to make use of the possibility of sending young engineers and scientists to the ITER Headquarters in France for a few months to allow them to get some hands-on experience. In a first experience of this kind, seven researchers recently had the chance to explore the ITER world and we will certainly take more advantage of this excellent opportunity in the near future. There has also been a personnel change in the Russian Council delegation to the ITER Council: Rosatom Deputy Director-General Vyacheslav Pershukov has been appointed by Prime Minister Vladimir Putin to represent the Russian Federation at the next meeting talking place in Washington, 20-21 June. 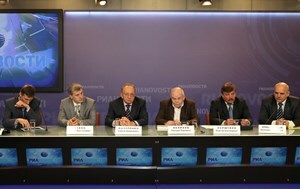 (*)The participants to the press conference were (from left) Andrei Reznichenco, RIA Novosti correspondent and moderator; Vasily Utkin, head of the Department of the Government Executive Office; Sergey Mazurenko, Deputy Minister for Education and Science of the Russian Federation and member of the delegation to the ITER Council; Evgeny Velikhov, president of NRC Kurchatov Institute, Academician of RAS and Council member; Vyacheslav Pershukov, Deputy Director General-Director of "Rosatom" and Council member; and, finally, Anatoly Krasilnikov, director of the ITER Project Center.